Thats all. Game finished - Atlético Tucumán 2, Atlético Nacional 0. Second Half ended - Atlético Tucumán 2, Atlético Nacional 0. Deiver Machado - Atlético Nacional - won a free kick on the left wing. Deiver Machado - Atlético Nacional - won a free kick in attack. Substitution - Atlético Tucumán. David Barbona for Luis Rodríguez. Dayro Moreno - Atlético Nacional - won a free kick in attack. Corner - Atlético Nacional. Conceded by Yonathan Cabral. Shot blocked. Felipe Aguilar - Atlético Nacional - shot with the head from the centre of the box is blocked. Assist - Yerson Candelo with a cross. Corner - Atlético Nacional. Conceded by Cristian Lucchetti. New attacking attempt. Helibelton Palacios - Atlético Nacional - shot with right foot from the right side of the box is saved in the top right corner. Assist - Dayro Moreno. Shot blocked. Yerson Candelo - Atlético Nacional - shot with right foot from outside the box is blocked. Assist - Dayro Moreno. Gonzalo Castellani - Atlético Nacional - won a free kick in defence. Missed chance. Dayro Moreno - Atlético Nacional - shot with the head from the centre of the box is close, but missed. Assist - Deiver Machado with a cross. Substitution - Atlético Tucumán. Mauro Matos for Leandro Díaz. Substitution - Atlético Nacional. Vladimir Hernández for Reinaldo Lenis. Deiver Machado - Atlético Nacional - won a free kick in defence. Offside - Atlético Tucumán. José San Román with a pass, however Leandro Díaz is in offside. Deiver Machado - Atlético Nacional - receive yellow card for a foul. Guillermo Acosta - Atlético Tucumán - won a free kick on the right wing. Dayro Moreno - Atlético Nacional - won a free kick in defence. Missed chance. Luis Rodríguez - Atlético Tucumán - shot with right foot from outside the box missed to the left from a free kick. Corner - Atlético Nacional. Conceded by Gabriel Risso Patrón. Goal! Atlético Tucumán 2, Atlético Nacional 0. Guillermo Acosta - Atlético Tucumán - shot with the head from the centre of the box to the right corner. Leandro Díaz - Atlético Tucumán - hits the bar with a shot with left foot from the centre of the box. Assist - José San Román. Delay in match José San Román - Atlético Tucumán - - injury. Shot blocked. Gonzalo Castellani - Atlético Nacional - shot with right foot from outside the box is blocked. Gervasio Núñez - Atlético Tucumán - won a free kick in defence. Bruno Bianchi - Atlético Tucumán - receive yellow card. 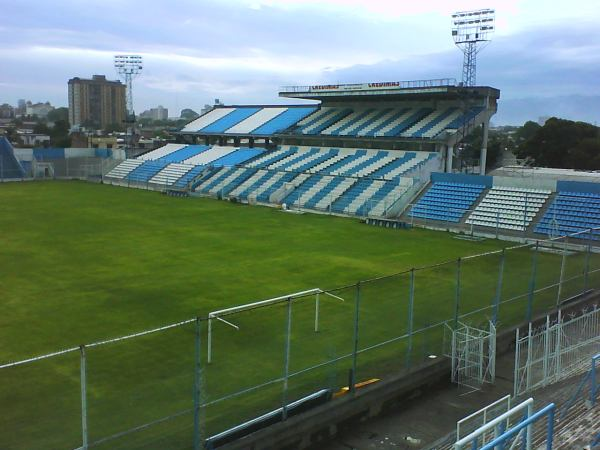 Corner - Atlético Tucumán. Conceded by Diego Braghieri. Shot blocked. Guillermo Acosta - Atlético Tucumán - shot with right foot from outside the box is blocked. Assist - Luis Rodríguez. Leandro Díaz - Atlético Tucumán - receive yellow card. Jeison Lucumí - Atlético Nacional - won a free kick on the left wing. Jorman Campuzano - Atlético Nacional - won a free kick in defence. Substitution - Atlético Nacional. Dayro Moreno for Gustavo Torres. Missed chance. Yerson Candelo - Atlético Nacional - shot with right foot from outside the box missed to the left. Assist - Helibelton Palacios. Substitution - Atlético Tucumán. Gervasio Núñez for Ricardo Noir. Substitution - Atlético Nacional. Yerson Candelo for Raúl Loaiza. Gustavo Torres - Atlético Nacional - receive yellow card for a foul. José San Román - Atlético Tucumán - won a free kick in defence. Jorman Campuzano - Atlético Nacional - won a free kick in attack. Offside - Atlético Nacional. Diego Braghieri with a pass, however Gustavo Torres is in offside. Reinaldo Lenis - Atlético Nacional - won a free kick on the right wing. Corner - Atlético Nacional. Conceded by José San Román. Shot blocked. Jeison Lucumí - Atlético Nacional - shot with left foot inside of six yard box - left side is blocked. Assist - Reinaldo Lenis with a cross. Delay in match Rodrigo Aliendro - Atlético Tucumán - - injury. Shot blocked. Jeison Lucumí - Atlético Nacional - shot with right foot from the left side of the box is blocked. Assist - Reinaldo Lenis. Missed chance. Reinaldo Lenis - Atlético Nacional - shot with right foot from the right side of the box missed to the left. Assist - Gustavo Torres. Guillermo Acosta - Atlético Tucumán - won a free kick in defence. Raúl Loaiza - Atlético Nacional - won a free kick in defence. Corner - Atlético Nacional. Conceded by Rodrigo Aliendro. 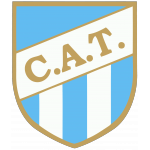 Second Half starts Atlético Tucumán 1, Atlético Nacional 0. First Half ended - Atlético Tucumán 1, Atlético Nacional 0. Ricardo Noir - Atlético Tucumán - won a free kick in defence. Shot blocked. Gustavo Torres - Atlético Nacional - shot with right foot from the right side of the box is blocked. Assist - Reinaldo Lenis. Felipe Aguilar - Atlético Nacional - won a free kick in defence. Missed chance. Rodrigo Aliendro - Atlético Tucumán - shot with right foot from outside the box goes high . José San Román - Atlético Tucumán - receive yellow card. Jeison Lucumí - Atlético Nacional - receive yellow card. Reinaldo Lenis - Atlético Nacional - won a free kick in defence. Offside - Atlético Tucumán. José San Román with a pass, however Ricardo Noir is in offside. Gonzalo Castellani - Atlético Nacional - won a free kick on the right wing. Rodrigo Aliendro - Atlético Tucumán - won a free kick in defence. Helibelton Palacios - Atlético Nacional - won a free kick in defence. Rodrigo Aliendro - Atlético Tucumán - won a free kick in attack. 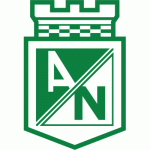 Gonzalo Castellani - Atlético Nacional - receive yellow card. Leandro Díaz - Atlético Tucumán - won a free kick in defence. New attacking attempt. Luis Rodríguez - Atlético Tucumán - shot with left foot from outside the box is saved by goalkeeper in the centre of the goal. Assist - Ricardo Noir. José San Román - Atlético Tucumán - won a free kick on the right wing. Missed chance. Jeison Lucumí - Atlético Nacional - shot with right foot from outside the box missed to the left. Assist - Gustavo Torres. Luis Rodríguez - Atlético Tucumán - receive yellow card for a foul. Gabriel Risso Patrón - Atlético Tucumán - won a free kick in defence. New attacking attempt. Leandro Díaz - Atlético Tucumán - shot with right foot from the centre of the box is saved by goalkeeper in the centre of the goal. Assist - Guillermo Acosta with a head. Ricardo Noir - Atlético Tucumán - won a free kick on the right wing. Diego Braghieri - Atlético Nacional - won a free kick in defence. Leandro Díaz - Atlético Tucumán - won a free kick on the left wing. Guillermo Acosta - Atlético Tucumán - won a free kick in attack. Shot blocked. Jeison Lucumí - Atlético Nacional - shot with right foot from outside the box is blocked. Assist - Gonzalo Castellani. Goal! Atlético Tucumán 1, Atlético Nacional 0. Leandro Díaz - Atlético Tucumán - shot with left foot from outside the box to the right corner. Corner - Atlético Nacional. Conceded by Bruno Bianchi. New attacking attempt. Luis Rodríguez - Atlético Tucumán - shot with right foot from outside the box is saved in the top left corner. Assist - Leandro Díaz. Missed chance. Guillermo Acosta - Atlético Tucumán - shot with the head from the centre of the box missed to the left. Assist - Luis Rodríguez with a cross after corner.